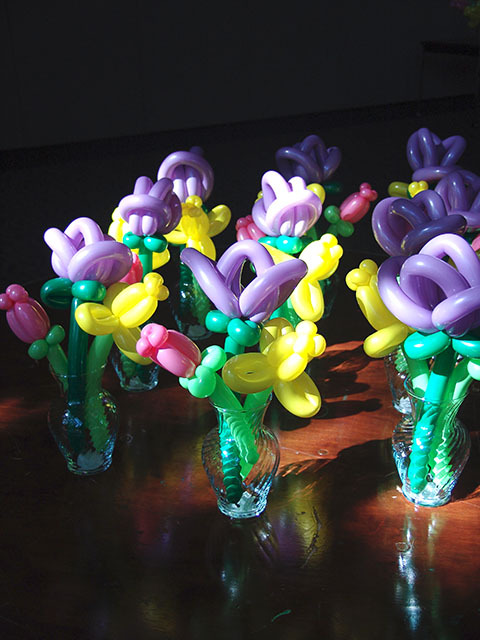 Whether we twist them for a personal balloon delivery, or arrange them in glass vase centerpieces for an event, our twisted balloon flowers are the center of attention. 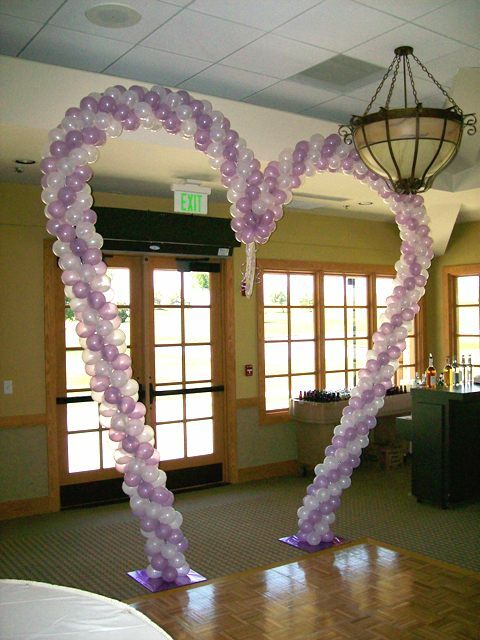 Here’s some fun Balloon Arches…styles you don’t see everyday! 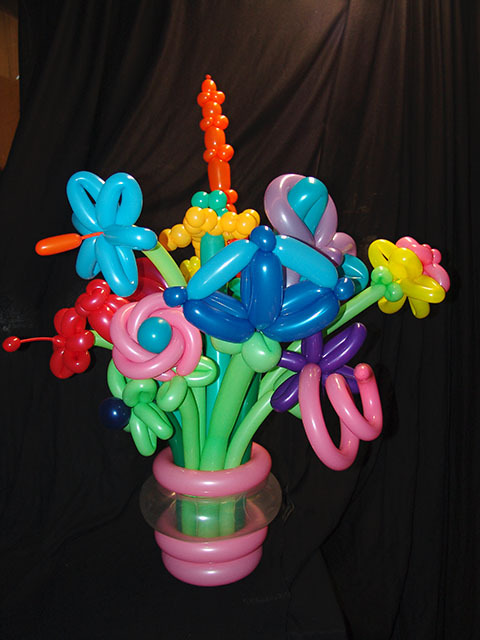 These are made using air-filled balloons on framework….great for venues that don’t allow helium! 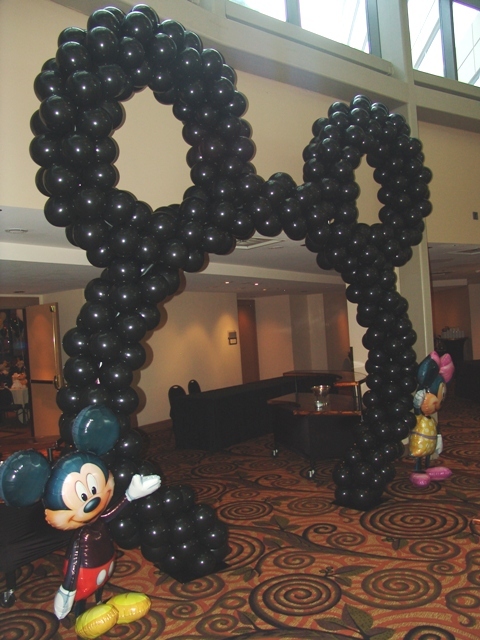 The Mickey Head Balloon Arch is a must-have for a Disney theme party! The Walk Through Heart is very popular for weddings. 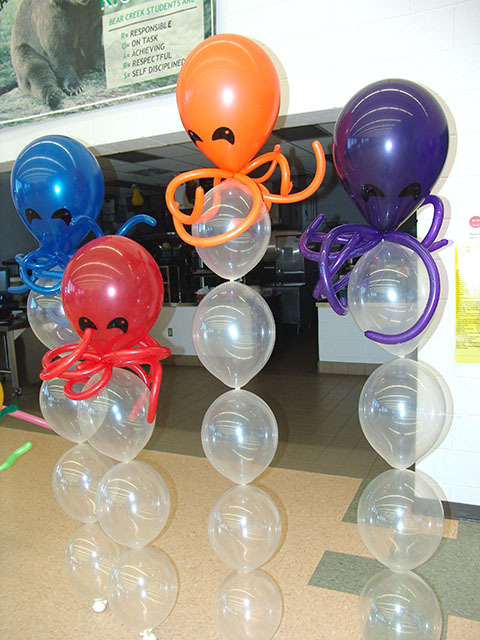 We have lots of different Balloon Arch designs, contact us to make your event special! 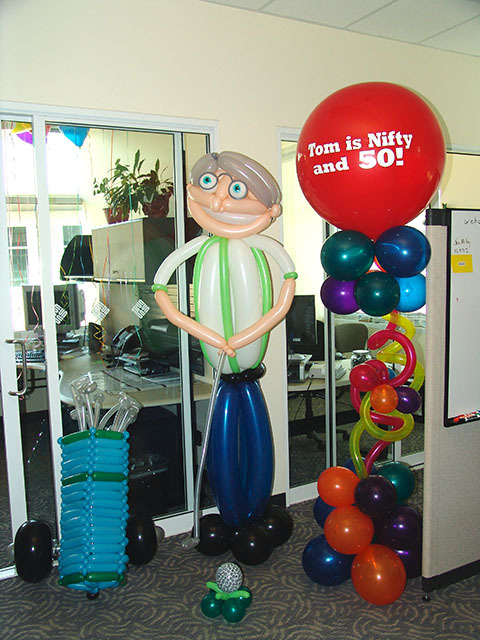 Balloon Tom is Nifty at Fifty! Tom was celebrating his 5oth Birthday and wasn’t expecting much hoopla about it. 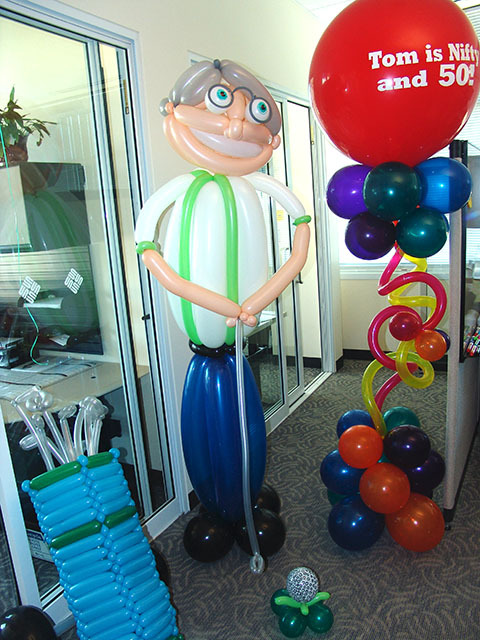 Ok Balloon Tom, drive one downtown Denver for us! Hey that is pretty nifty! Balloon Barbecue in Denver! Ready for Summer? 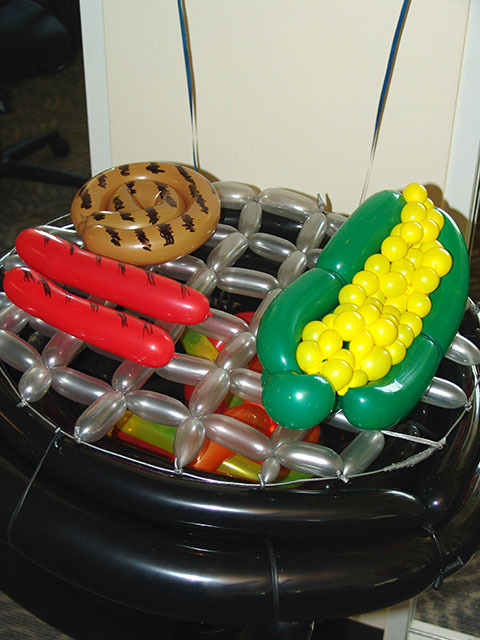 You can’t get ready for summer without twisted balloon burgers and twisted balloon corn on the cob or twisted balloon hot dogs. 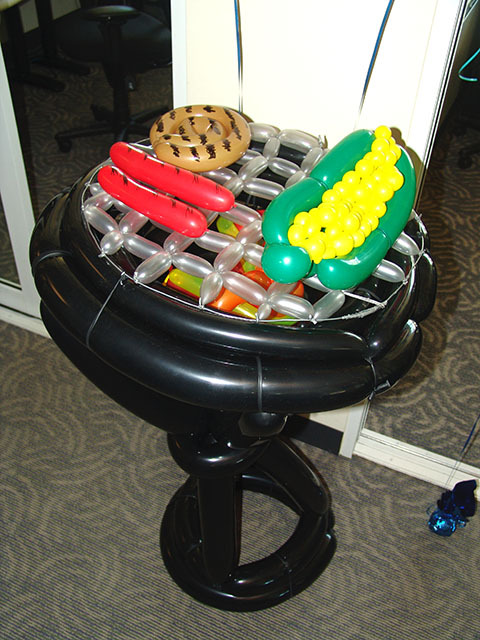 And what better way to get ready than to toss them all on a twisted balloon barbecue? 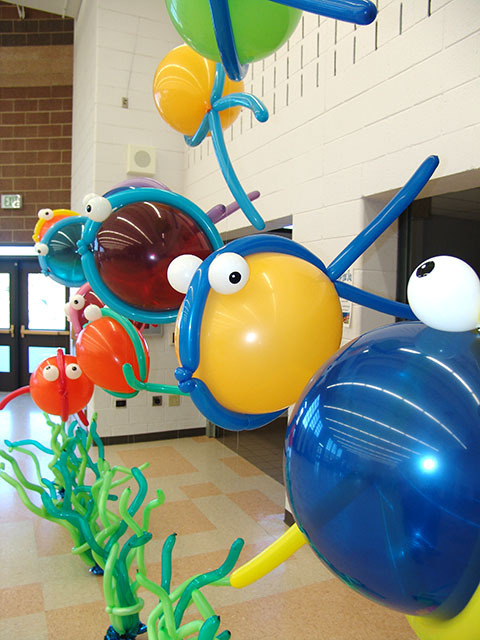 When a local school wanted a underwater theme for a party, we twisted some balloon fish and balloon squid to party with. Contact us with a special theme.